After a week of graduation festivities I'm feeling a little worn out. 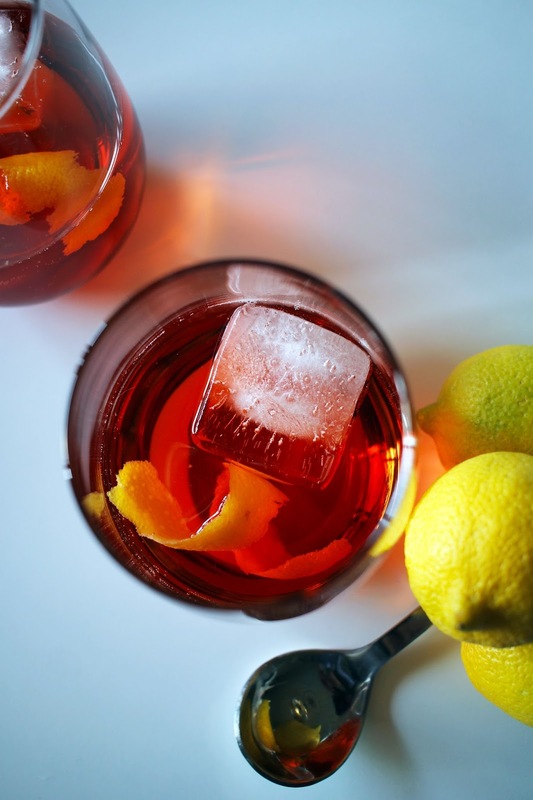 I'm ready to kick off my shoes and relax with one of my favorite cocktails: the americano. It is light, refreshing, and a tad bitter. Just what I need after a hectic week in preparation for the long weekend. If you're in search of a cocktail this weekend this comes highly recommend. Plus, only four ingredients it doesn't take much thought to put one together. 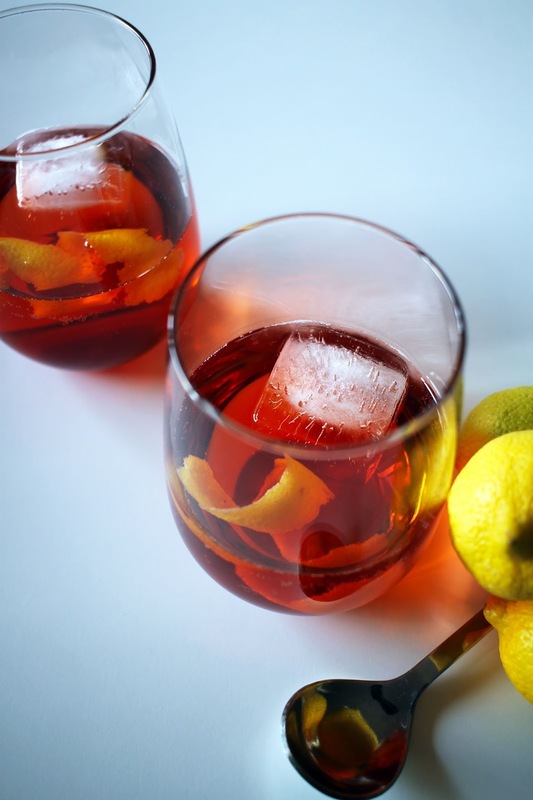 Combine campari and sweet vermouth in a cocktail shaker filled with ice. Stir until chilled. 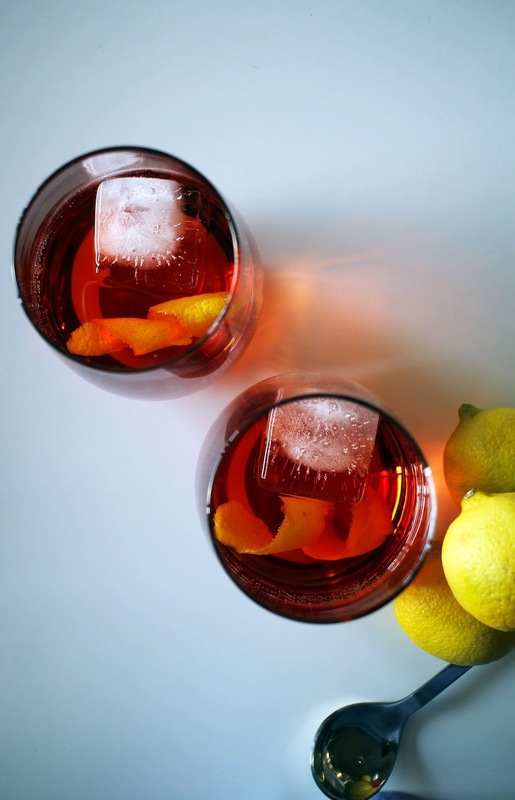 Pour into two low ball glasses filled with ice. 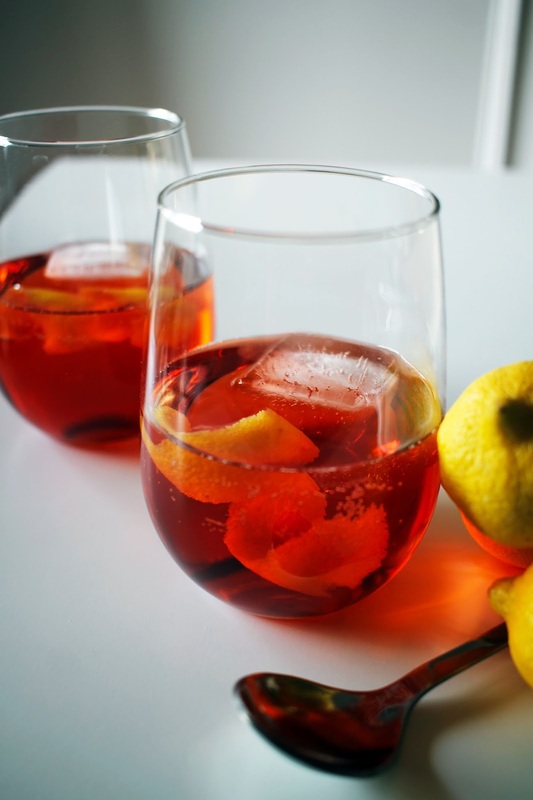 Top with sparkling water or club soda until desired taste is reached. Garnish with a twisted lemon peel. 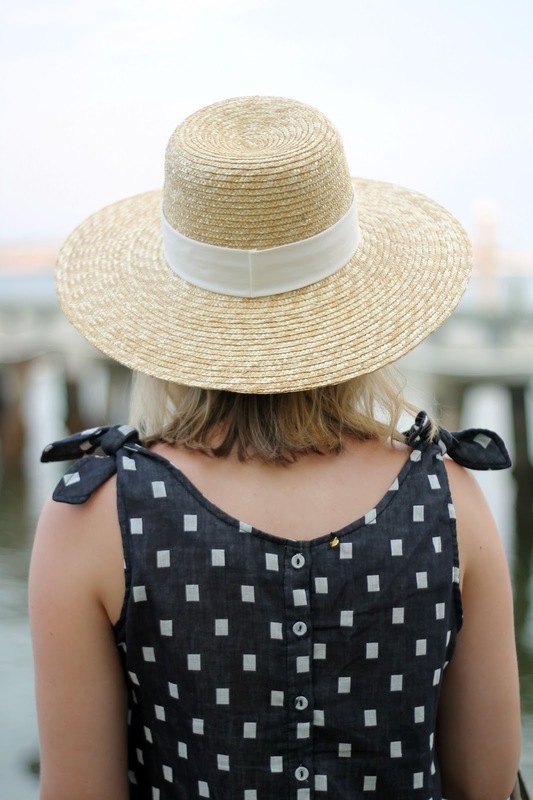 After surviving the Charleston sun last summer I know the importance of a sun hat. 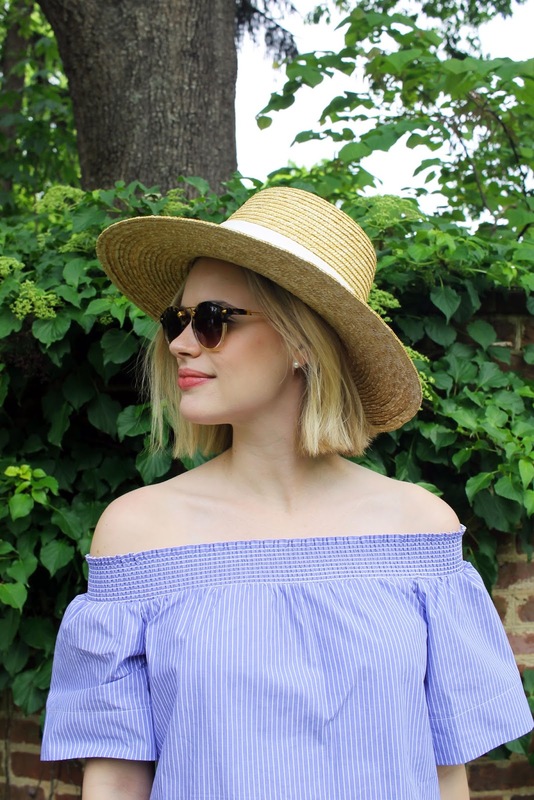 Of course sun protection is important, but I love how they can pull together an outfit. 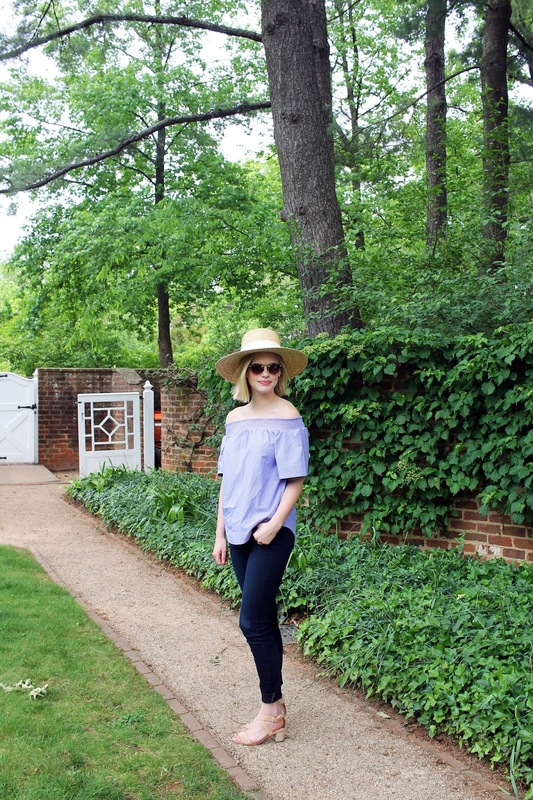 I purchased one from J.Crew last summer and wore it non-stop (seen here, here & recently here). 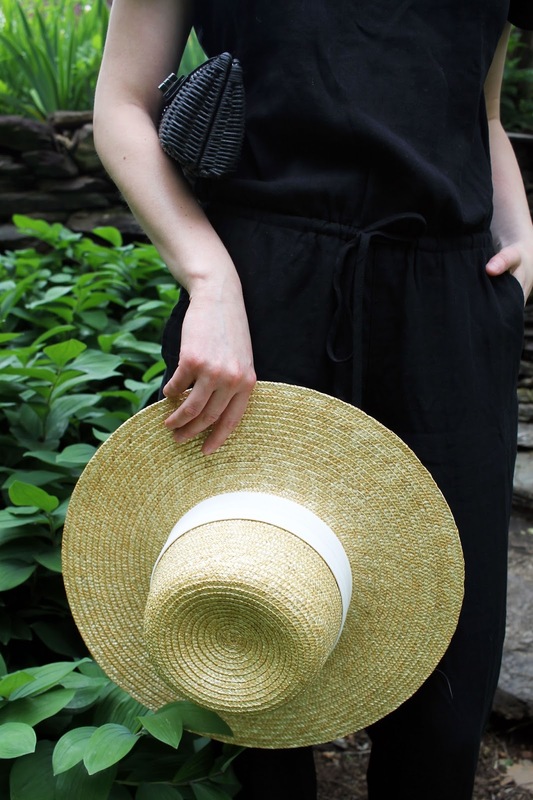 With this weekend signaling the start of summer I am ready to expand my sun hat collection. I'm looking for something with a larger brim, like this, but I would gladly take any of the hats below. 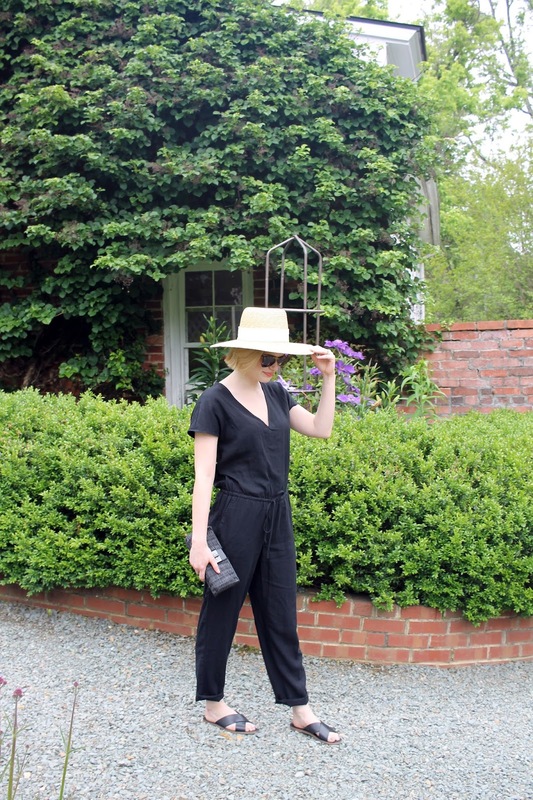 With summer just around the corner I found myself searching for a comfortable jumpsuit. 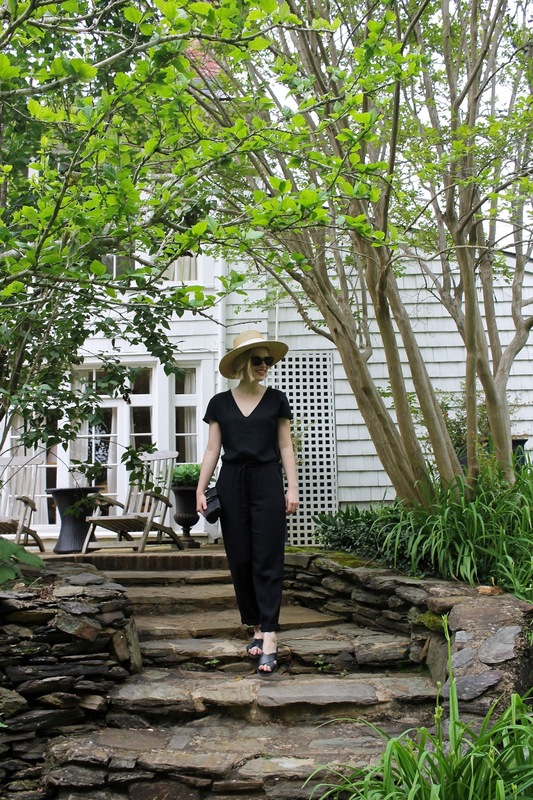 I wanted something I could easily wear all day on a hot day, and this tencel-linen jumpsuit from J.Crew is the perfect fit. The fabric is light and breathable so I won't feel like I'm suffocating come July. 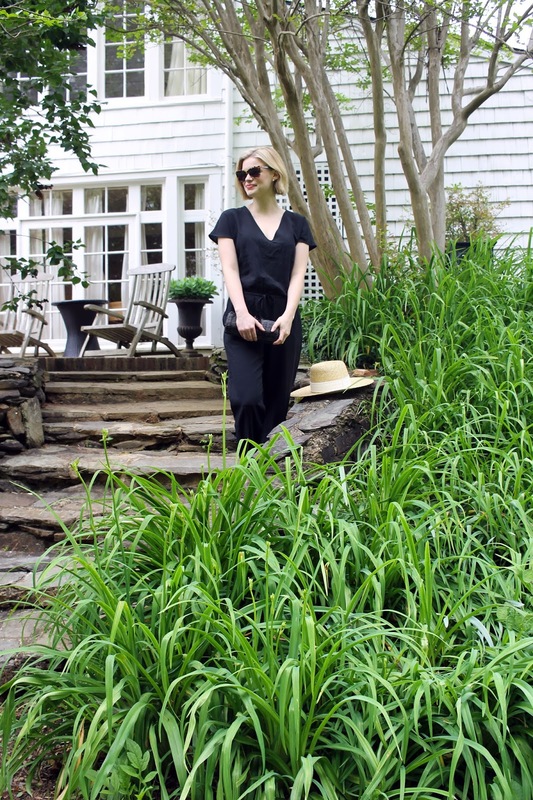 I wore during our stay at the Clifton Inn, and even though it barley got into the 70's it was still great for leisurely morning. I made it a goal to cook artichokes this spring. I've eaten a lot of artichokes over the years, but if I have them at home they are usually from the olive bar. I knew they were a labor intensive vegetable, and when I saw this recipe in the latest Bon Appetite I knew I had to try it. I will say prepping artichokes is not easy. There are multiple steps and a lot of knife worked involved, but the effort is worth the reward. These artichokes were tender and savory. The braising liquid had a rich, complex flavor thanks to the garlic and anchovies. 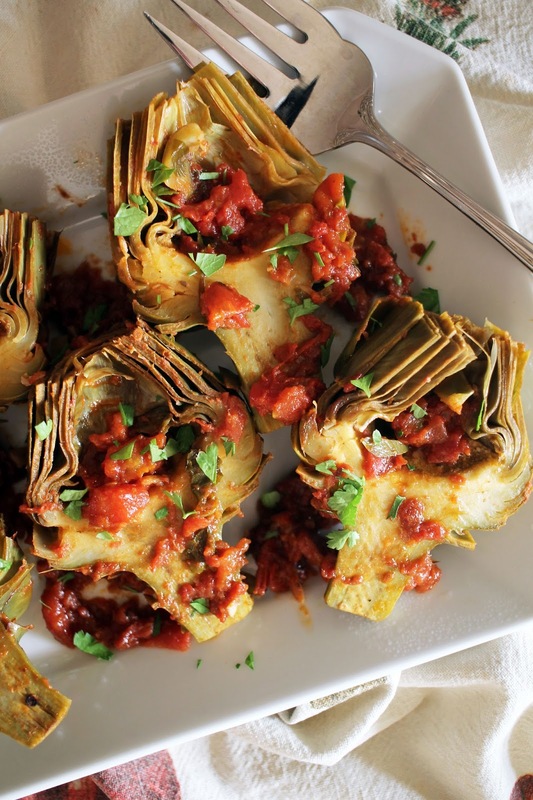 If you can find artichokes at your grocery store give this recipe a try, and put in a little extra work for your next meal. You will be rewarded. Combine tomatoes, white wine, red pepper flakes, 1 cup water, and 1/4 cup of oil to a large dutch oven. Set aside. In a food processor combine anchovies and garlic and pulse until a paste forms. Add in parsley and remaining olive oil and pulse until combined. Set aside. Start by trimming the artichokes. Remove the tough outer leaves of the artichokes and trim any pointy tips left on. Then, cut off the top 1 1/2 inches of the artichoke leaving a flat base. Rub the entire artichoke with lemon to prevent browning. Repeat until all artichokes are cleaned. Then, cut the artichokes in half and remove the choke and any spiky inner parts. 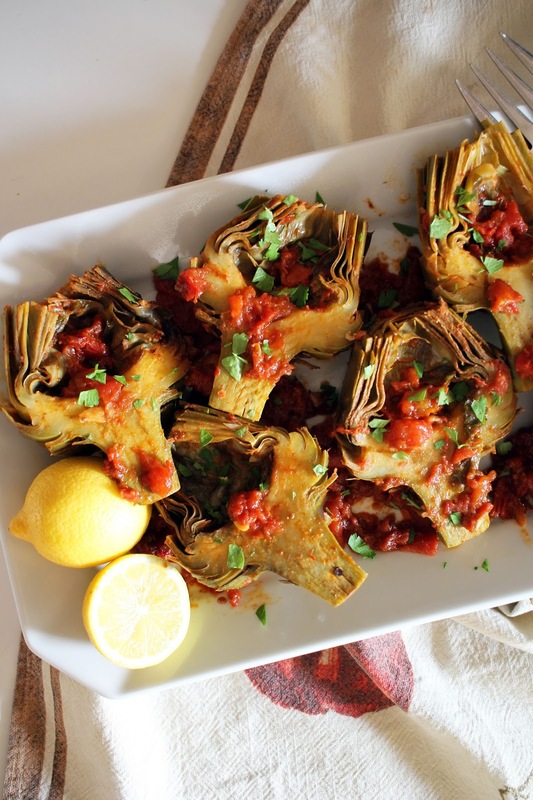 Rub the artichokes with the anchovy and garlic paste and place on top of the braising liquid. Bring mixture to a simmer and cook for 1 hour until artichokes are fork tender. 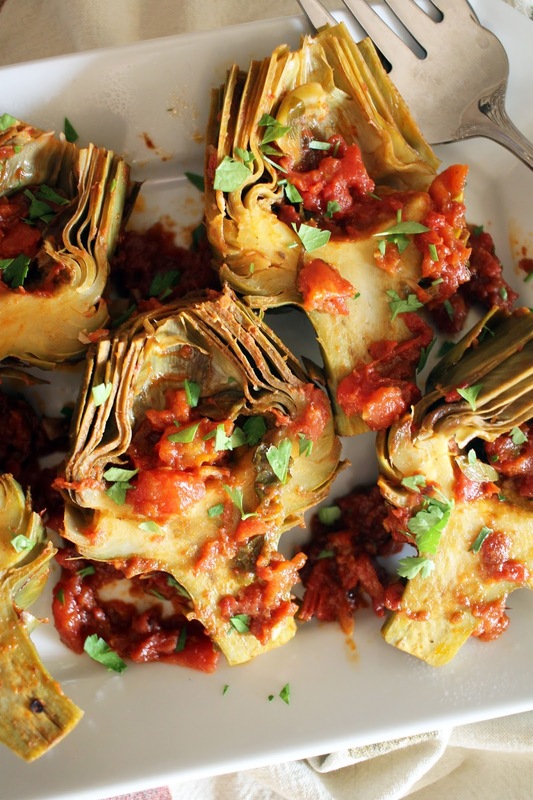 Flip artichokes during cooking every 15 minutes to make sure artichokes cook evenly. Spoon a little of the braising liquid over the top of the artichokes as well. Remove artichokes and cook sauce for an additional 10 minutes until thickened. Spoon sauce over artichokes and serve with lemon and additional parsley. We had a temperamental start to May. Most days were cold, rainy, or dreary which had me reaching for sweaters and jackets more than I liked. So I was pleased with the gorgeous weather that greeted us yesterday. 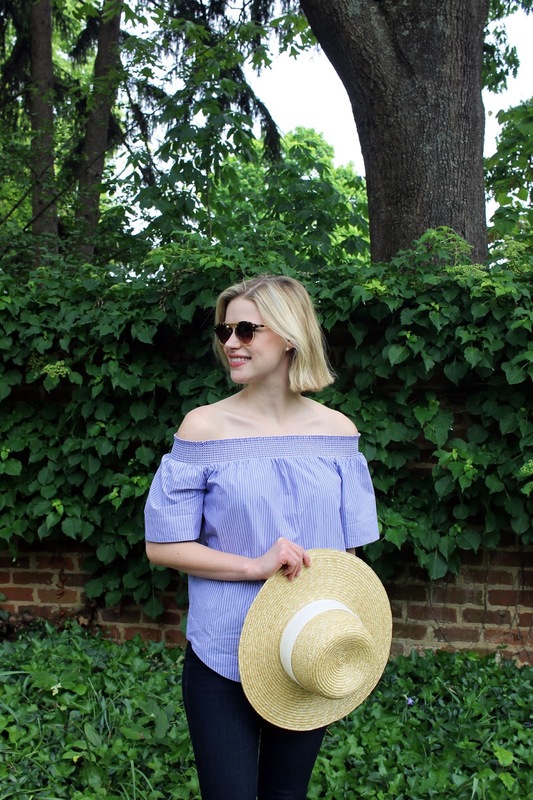 It gave me the chance to slip into this off the shoulder top. I was hesitant about this trend at first: how does it stay on your body; can it possibly be comfortable? I will say it is not the more practical option if you have a busy day, but for a spring afternoon spent wondering around UVA's campus it felt pretty nice to get a little sun on my shoulders. This color is unfortunately sold out, but I really love this bright yellow option.